Need More Muskogee Bail Information? Below are some useful Muskogee bail resources, not just bail bondsmen in Muskogee. These sites help you research bail and court information. 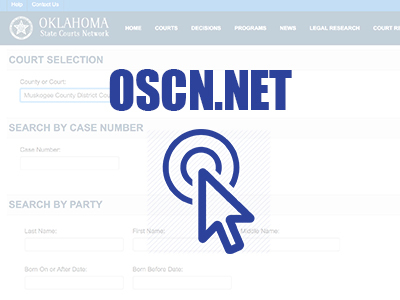 OSCN and ODCR can be used to view case records and court minutes for most counties in Oklahoma. Use VineLink for finding current inmate information. The Oklahoma State Courts Network provides updated court records for most counties in Oklahoma. 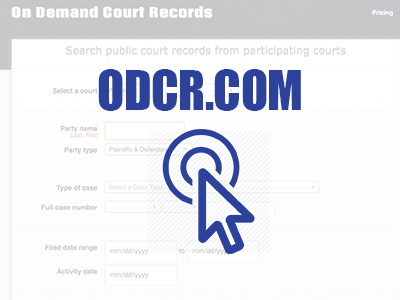 On Demand Court Records is an alternate source for court records and bail information in Oklahoma. 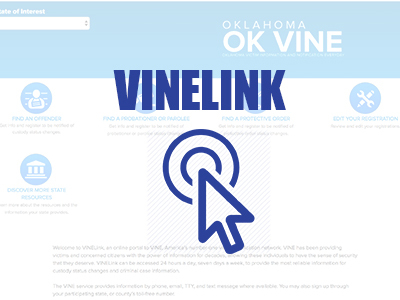 Vine Link is a useful resource for searching inmate information and custody status in Oklahoma and other states. If you still can’t find what you are looking for, give our OKIE Bail Bonds office a call at 918-686-9000. We’re always ready to help. As your local bail bondsman in Muskogee, we are here to answer any questions you may have. We answer the phones day or night, twenty four hours a day, seven days a week. With years of knowledge and experience in the industry, we are sure to help you find the answers you are after. It can be confusing to deal with on your own, our agents are standing by to help in any way we can.